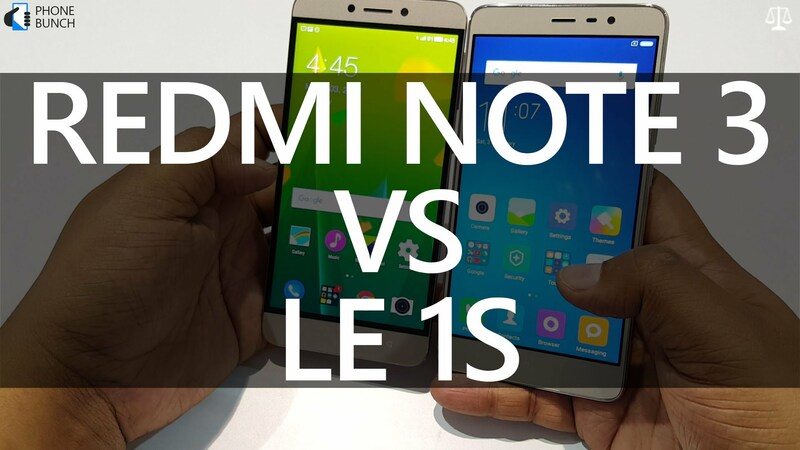 Xiaomi Redmi Note 3 vs LeEco Le 1s Specifications Features Price Comparison Review :The news tech is finally in the market that we are being waiting for this time there is a companion in between two of the coolest phone n the market in this price range that you will be getting in the market. One of them is the Xiaomi Redmi Note 3 and on the other hand it is the LeEco Le 1s that has the most of the customers satisfied. There is a lot of different between the specification in the specification on both of these latest phone which are making their places in the people heart. Both of these product have a similar that these both smartphone are made by the chines manufacture and has the loves in their country, Let’s see how are they going to do in India. Now if we gonna talk about the specification of the product in case of SIM Redmin Note 3 Micro Sim + Nano Sim(Hybrid) and LeEco Le 1s has the Micro Sim. The Ppi of both the phones are quit same 401 but LeEco Le1s has an extra feature of having Corning Gorilla Glass 3 Screen Protection. Which means that your screen has a greater protection from the fall and you can save your phone screen with some minimal damage. Both of these Smartphones carries the 32 Gbs of internal memories but LeEco Le 1s has no external memory storage which means no SD card slot but if we talk about the Xiaomi it has expandable memory upto 128Gbs. Both of them has the same RAM for 3GB which is going to make using of the smartphone experience more loving and you will be able to use any application without any interruption. If come to the camera part Xiaomi has the upper hand here its has a 16Mp where as in case of Le 1s its only 13Mp of camera and both the phones has auto focus feature.The battery life for 1s is 3000 mAH,Xeaomi where as it has a battery life of 4050 mAH.